Ontario Dog Obedience Training that Gets Real Results! Welcome to Rooted Dog Training! We are based in Ontario, California, and service the Inland Empire, San Gabriel Valley, and Orange County areas. 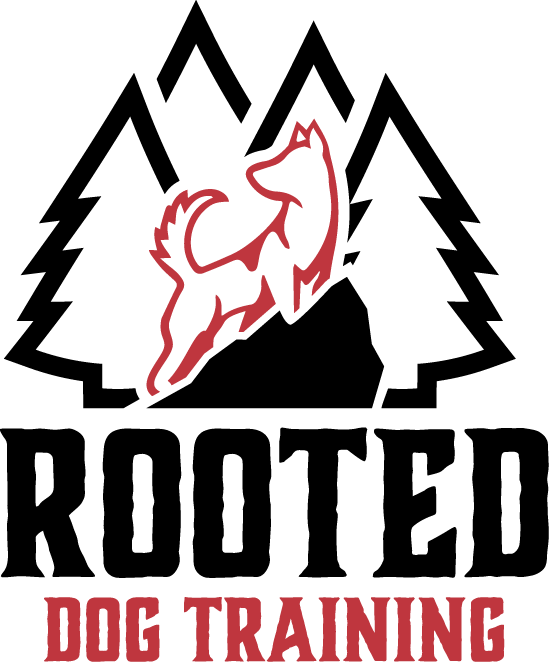 Rooted Dog Training is a balanced dog training company eager and ready to help dog owners create the dog of their dreams, while also overcoming frustrating dog behaviors. We specialize in off-leash obedience through our popular one-on-one programs and the board-and-train program. We train dogs of all ages and breeds and can overcome a long list of challenging behavioral issues. Please browse our website and fill out a contact form so that we can get you on track to an enjoyable life with your dog. Stop the ongoing frustration and embarrassment they now may be giving you. Our mission is to ultimately help dog owners keep their dogs in their homes. Many today are feeling at a loss with respect to their dog behavioral issues. There are solutions and we at Rooted Dog Training can provide those answers to you with outstanding results! Take away the constant worry and stress that you may now be experiencing. We are excited to share our knowledge and experience with you to help you better understand the dog in front of you. Our training methods and understanding of the canine species allows us to dive deeper so that we can gain valuable and long-lasting results that not only build a well-mannered dog but also help dog owners improve their life as a whole. We specialize in remote collar training that allows us to not only stop unwanted behaviors but develop solid reliable communication. Yes, that means your dog will come to you on command! Through our board-and-train or complete obedience program, we can stop these undesirable and perhaps dangerous behaviors. We also teach a valuable on/off switch that creates a dog who can be calm on command. So, no more overly excited dog who just can’t seem to sit still or not get into trouble. Even if you are not dealing with any behavioral issues, we can help you create the calm, everywhere, and perhaps adventure dog! Your dog will learn a list of useful commands such as a solid sit, down, stay, place, out, as well as how to heel on the walk, come to you when called, and reliably understand “no” and “yes”. All of these will make your daily routine smooth and stress-free. Through our programs we can achieve calm well-mannered dogs and long-lasting real-world success so that you can focus on your day-to-day life without having the dog as an added stress. You can have peace of mind knowing your dog is under control. Become a new and improved leader, not only for your dog, but also for yourself and achieve a happier fulfilled life! Are you ready to get started? Are you and your family committed to put in the effort to achieve this amazing new life with your dog? If so, fill out a contact form. We will sign you up for the program that best suits your needs. Let’s get started! Get VIP ACCESS to event notification and free pro tips! Don't worry, your information is safe with us. It never leaves our hands, and we are ANTI-SPAM! Feeling unsure if dog training is for you? Unsure if the investment is worth it? Read this blog to find out why dog training is valuable and beneficial for every person and every dog. Read Here…. Do you need us to do the majority of training? Got a difficult dog? Bring your dog to us and we’ll set you & the dog up for life long success, including off leash obedience. Best for those dealing with behavioral issues such as anxiety, fear, and reactivity. Or, for those who want the dog with endless possibilities, the everywhere dog! Join a supportive group of dog people who are striving to provide leadership for their dogs by practicing the structured walk. We will be available for free coaching during this event. Why Hire Rooted Dog Training? San Dimas, La Verne, Claremont, Glendora, Covina, Azusa, Walnut, Brea, Fullerton, Anaheim, Chino, Montclair, Ontario, Rancho Cucamonga, Pasadena, Monrovia, Duarte and more! Get VIP ACCESS to event notification and FREE pro training tips! You've successfully joined! Be sure to check your JUNK/SPAM folder & save our address. We are anti-SPAM! So, you won't be getting that from us!